This article on character development is part of the Science in Sci-fi, Fact in Fantasy blog series. Each week, we tackle one of the scientific or technological concepts pervasive in sci-fi (space travel, genetic engineering, artificial intelligence, etc.) with input from an expert. Maria Grace has her PhD in Educational Psychology and is a 16 year veteran of the university classroom where she taught courses in human growth and development, learning, test development and counseling. None of which have anything to do with her undergraduate studies in economics/sociology/managerial studies/behavior sciences. She blogs at Random Bits of Fascination, mainly about her fascination with Regency era history and its role in her fiction. Her newest novel, a Gaslamp fantasy, Netherfield: Rogue Dragon was released in May 2018. Her books, fiction and nonfiction, are available at all major online booksellers. You can follow Maria Grace on Twitter and on Facebook. As writers we struggle to get our characters right. We examine personality types and create dossiers trying to figure out what makes them tick, but rarely consider the impact of psychological development. Development is a key component in how people differ from one another beyond simple temperament differences and character quirks. It helps explain how people who are fundamentally dissimilar may share a common way of interacting with their world, and how those who possess similar personality types can be very different. Developmental differences can also help explain how two characters who experience the same trauma might respond to it very differently. 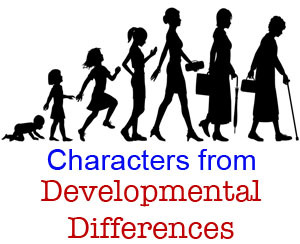 As writers, we can use an understanding of developmental differences to create cohesive characters whose quirks make sense in the context of the whole character and don’t just stand out as something weird about “that guy.” Moreover, an understanding of development can help drive the plot, revealing the sorts of interactions that are likely (or not) to help a character mature during the course of a story. What do developmental differences look like? For example, let’s imagine three co-workers walk into a bar and order drinks after a rough day at work. Ok, I realize this sounds like the set up for a bad joke, but bear with me here for just a moment or three, ok? Now these three guys/gals are close in age, social situation, education, personal history, personality type, and the same gender—all the things you’d ordinarily think would set people apart from one another. “Have you ever considered that it might be because I met all my quotas this month?” Bravo glanced at Charlie who raised a glass their way. “Sure, that’s all he does all day.” Bravo elbowed Charlie. “Yeah, you’ve been awfully quiet there.” Alpha signaled the bartender. “Well, you’ve told me enough times that you’d just as soon not listen to me complicating things.” Charlie shrugged. “And this is why I keep my opinions to myself. Enjoy yourselves, I’m calling it a night. See you in the morning.” Charlie stood and tossed a salute on the way out of the bar. Bravo and Alpha watched Charlie leave. “I just don’t get Charlie. It doesn’t seem like we’re even looking at the same situation, ya know?” Alpha reached for a second beer. Even though I said at the beginning that these three characters were the same age, you still probably pictured Alpha as the junior one in the group and Charlie as the grizzled old veteran of the bunch. Why? Because developmentally, Alpha is at the earliest developmental stage in the group and Charlie the most advanced. What causes these maturity differences? The most obvious possibility, physical age, does play a part in the process. But once an individual reaches the latter part of young adulthood, physical age plays less and less of a role in the developmental processes. In its place, life experiences, the choices an individual makes in how they respond to them, and the way they deal with the ensuing consequences take over as a prime mover of development. Challenges and responsibilities give people opportunities to grow and rising to meet them can, but do not necessarily, pave the way to increased maturity. How do people and characters change as they mature? Typically, they follow a predictable pattern of recognizing increasing complexity in individuals and situations and demonstrating increasing tolerance for conflicting perspectives. Early stage characters like Alpha in our example often sound a great deal like perpetual teenagers. They understand rules, but the main rule they embrace is ‘don’t get caught.’ They tend to engage in little self-criticism or self-reflection and experience shallow relationships. Hardships and wounds may be perceived as unfair and personal attacks, resulting in self-pity and bitterness. It is difficult for them to see how they may have contributed to their own misfortune and often even more difficult for them to see how they could possibly be expected to have done differently than they did. Their challenges for growth will most likely come from experiences that cause them to see the value of belonging to a group and conforming to the group norms. Friends who are part of a group and exert a positive peer group pressure may help. A group who actively seeks to include the character can encourage development, for example a military boot camp type experience. Rejecting a group or being rejected by one may impede growth. It is important to note that an individual can conceivably stay at this level of development their entire lives. Iconic characters like Homer Simpson and Archie Bunker embody such a situation. Lectures and direct instruction by more mature characters rarely have a lasting positive impact and are more often to incite mocking and derision than sober reflection. Growth needs to take place organically, often very gradually, with ‘ah-ha’ moments only happening on the exceptional occasion. Our friend Bravo has embraced these challenges and represents a more advanced level of development. If Bravo seemed rather normal, it is because the character represents the typical level of adult development. Bravo remembers what it was like to be Alpha but also knows life is more complex and stereotypes don’t paint a complete picture. Rules are not everything, rights and fairness are important as are understanding individual differences and fulfilling responsibilities for others. When dealing with major wounds, characters at this level may respond with greater understanding for others and an awareness of how they might have also been at fault in a situation. This is a big contrast to early stage individuals who are almost never wrong in their own eyes. How do individuals make the transition through this stage and beyond? Becoming involved in deep, long term relationships and having responsibility for another’s life as in parenting or caring for a dependent elder are experiences to propel further growth. Only a few characters will grow beyond this level. In order to do so they need opportunities to become deeply acquainted with ideas and people that are very different and even the opposite of themselves. Since these are uncomfortable experiences, many will avoid them and never progress. Some groups might even actively suppress these sorts of opportunities for concern that they might ‘contaminate’ a group member. But if they are embraced, then characters may grow in their understanding and appreciation for the complexities of people, situations and relationships. This is what sets our friend Charlie apart from his companions. Charlie can appreciate different people’s perspectives and is tolerant of the differences. Though Charlie sticks up for the boss, he also realizes Alpha’s point of view and does not criticize. Charlie is also able to recognize his/her own needs and take care of those without apology or anger, valuing relationships while retaining a sense of identity within and apart from them. One of the biggest challenges for Charlie and similar characters is that others don’t ‘get’ them. Though they are usually recognized as wise and well-balanced, they can also get depressed because others don’t understand them and they may become frustrated and perhaps a little hopeless with what, in their eyes, seem to be petty squabbles and conflicts. Intimate relationships can be challenging for these characters simply because finding someone else at the same place in development can be difficult. 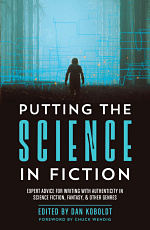 By its very nature, the SF genre challenges characters to deal with situations and beings that are very different from themselves, with different expectations, values and cultures. 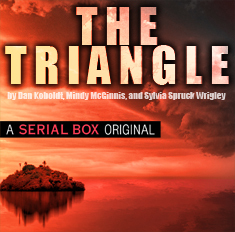 Orson Scott Card’s Speaker for the Dead comes to mind as a stunning example of a character who has moved from the earliest stages to the later ones and now seeks to act on that knowledge and assist less mature individuals to see what he is able to see. Not all characters will be able react to strange species and situations in such a mature fashion. Understanding their level of development can help authors to create consistent and believable interactions between their characters and the ‘strange’ situations they encounter. Moreover, we are able to plan a track through the story for their realistic growth and change—or lack thereof, as that is always a possibility. Another interesting line of thought might be how developmental paths might be different in alien species and cultures. What if humans developmentally mature perspectives were considered immature, or even dangerous in other cultures? The possibilities abound.